La Trobe Financial recognises the importance to brokers when it comes to meeting settlement expectations for their clients. Efficiency and excellent customer service are of paramount importance to the broker. Innovation is also playing an important role in the evolution in the finance sector and Electronic VOI (Verification of Identity) is an excellent example. The introduction of electronic mortgage documentation will reduce errors and speedup the settlement process. As leaders La Trobe Financial make it our business to stay ahead of the pack when it comes to cutting-edge technology, and we understand immediately the benefits that Electronic VOI can deliver. We have recently approved Australian company e4 as an electronic VOI provider and we were particularly impressed with the due diligence and biometric cross-checks built into the application. Virtual VOI eliminates the need for the broker to meet face-to-face with the client. There can be a number of reasons why a client may not be able to meet face-to-face – the client may be regionally based or overseas at the time of the transaction. 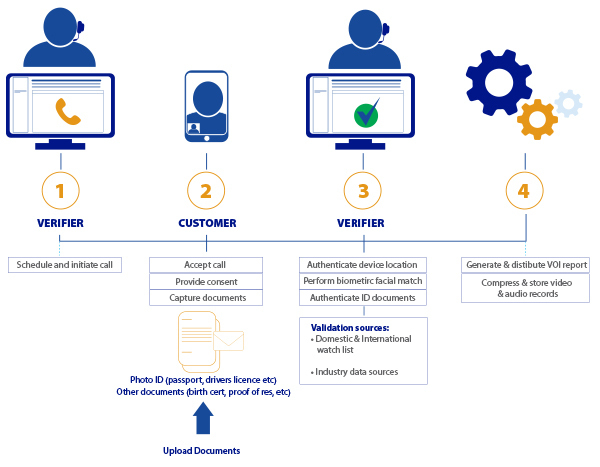 The Virtual VOI process is paperless and the identification checks are all completed through authorised government bodies, meaning that they are accurate and secured checks. 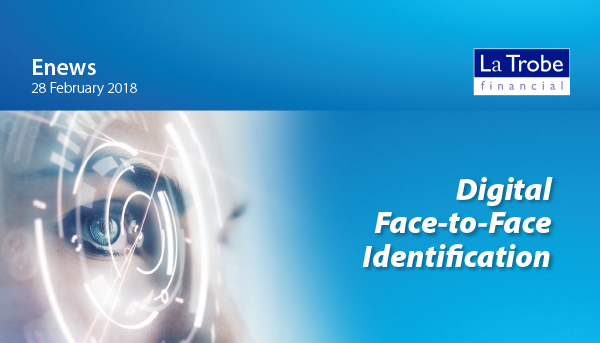 La Trobe Financial will now accept digital face-to-face Identification delivered through the e4 Virtual VOI platform as an acceptable form of customer identification, and as an alternative to the standard in-person face-to-face customer identification required for mortgage applications. The Virtual VOI process can be run completely online, from anywhere with an internet connection, for those customers who cannot be seen in person, or simply prefer to be identified online. Brokers wishing to use the e4 Virtual VOI service should contact the e4 support team at info@e4australia.com.au, at which point you will be provided with the relevant sign-up documentation and Quick Reference Guides. Once signed up, you will have immediate access to the e4 Virtual VOI portal and can begin to schedule calls with your customers as required. For further information on e4 Australia and Virtual VOI please click here to visit the e4 web site. What other electronic VOI can we accept? Just another way La Trobe Financial is looking out for you.